Applying for and receiving financing to purchase a vehicle can sometimes be stressful. However, the experts at Crestview Chrysler in Regina are devoted to helping our customers receive proper consultation to develop the right payment plan. No matter what your financial history may be, our loan reps will work with you to determine if traditional financing or Customer Choice Financing is the best fit for your budget. Auto financing for Grand Coulee residents and beyond is closer than you think! We’re a quick 23 minutes from Grand Coulee and the surround areas. Start by heading east on Railway Avenue, turn left toward SK-730 E, and then turn right onto SK-730 E. Continue onto Dewdney Avenue and then turn left onto Albert Street. We’ll find our showroom on the right! Purchasing a new vehicle using traditional financing might work out best for someone looking to follow a strict payment plan. But if you’re looking for more flexibility, Customer Choice Financing has plenty to offer. You have the option to choose how often your payments are made. Monthly, semi-monthly, weekly, or bi-weekly increments are all available for Customer Choice Financing customers. You don’t have to worry about safety inspections, additional fees, or taxes in the event that you decide to pay off the loan balance at the time of your vehicle’s return date. The term length for Customer Choice Financing is up to you. Choose anywhere from 36, 48, or 60 months to return your vehicle. A short-term plan will allow you to get behind the wheel of a newer model sooner than you think. 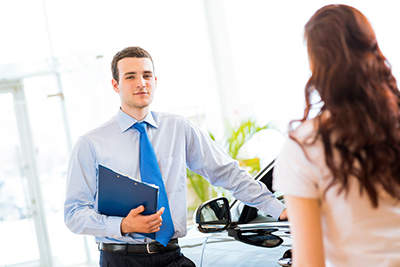 Monthly payments with Customer Choice Financing are generally lower than other financing methods, which makes it less expensive to drive a luxury vehicle should you choose to purchase one. Don’t wait to drive off of our lot with your perfect vehicle! Let our financial experts get you behind the wheel as soon as possible. Just give us a call at (306) 525-5411 or come visit our dealership at 601 Albert Street in Regina, and we’ll do our best to educate you on your best financing options.